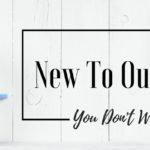 Hey Guys – these are the most recent deals I’ve found while diving into the endless hole that is Amazon ( I like letting you know when I find good deals!) – I swear I could get lost in there for days! Click the cover to be taken to Amazon! Remember! If you’re a lover of hardcovers Amazon has a ton of pre-orders on sale right now – most under $9 or $10!! – Click here and go to the bottom of the post for those deals!! I can never tell if this is helpful to you at all – Typically I end up tweeting the links to the deals I see, but I thought I’d put them in a post. I’d love to hear what your preference is… having them in one spot here, checking my twitter feed, or you don’t even give a crap! Let me know in the comments! 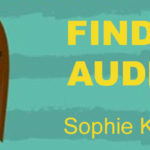 Finding Audrey by Sophie Kinsella Now In Paperback!